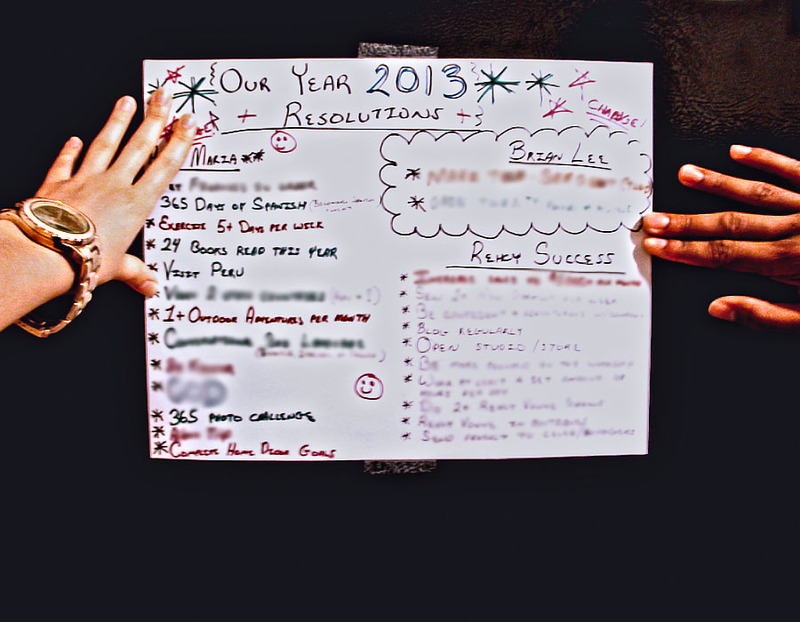 Hanging our 2013 resolutions on the refrigerator. Why do I have so many more than him?! EEeegads! !